Collecting stories one novel at a time with limited funds. I was amazed at this book. The beginning hooked me and never let go. The leading characters have such depth and realism. There is gritty, mature content without being lush or overkill in the shock department. The action paces through at quite the clip. You have the protagonists moving through a somewhat formulaic quest of modern adventurers hunting the clues of the ancients hidden in plain sight. While you expect the adventure to have its twists and blind turns, I was still surprised with the actual storyline. Lily Stargazer has quickly become one of my favorite literary characters. She is fantastic. Her growth and development as she battles her current and past demons is heartfelt. She is a whirlwind of bad decisions that are very realistic. I appreciated the difference of her shocking decisions and struggle with being a better person. The ease of visualizing the characters was top notch in their pell mell rat race. There is a fair smattering of historical figures and places but with plenty of other-worldly/timeline allusion to be obvious about its fictitious nature. Unlike others of the genre, it does not solely focus itself in London. We get to see other major metropolises of the Victorian era. This breath of fresh air really connected me to the experience. The idea of balloon races around the world was so much fun. The way she has her airships work and the dynamics of the steampunk flair somehow continued to make me think about the Great Mouse Detective. I easily pictured Angus pedaling his little heart out like the bat sidekick. I think that also describes a level of whimsy that underlies this novel. Very Alice in Wonderland steampunk. 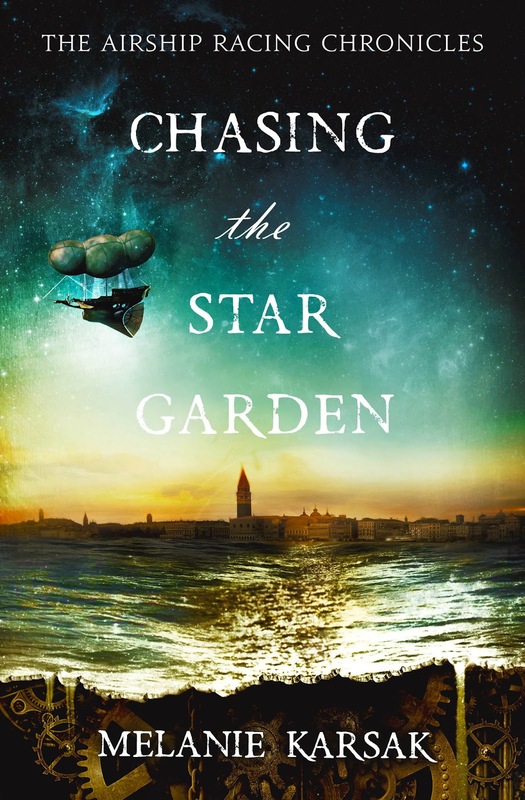 Melanie Karsak has written in the zombie genre before now, but I give this introduction to the steampunk genre a full 5 stars (easily, hands down). Sleep deprivation is worth it. I definitely look forward to following up with this series. Full recommendation to go pre-order your copy and some gift copies today for the holidays. Paperbacks hit store shelves this Wednesday. Here is to a return to the Lady of Devices! Star has read 5 books toward her goal of 36 books.